I am a student of UP Diliman and currently taking Geog 131: Philippine Geography. We have a term paper and we are focusing on the tourism of Bohol after the 2013 earthquake. We would just like to ask if you have any data or statistics about aid topic. Hi Christine, thank you for your interest with our province. You may access the list of tourism arrivals since 2006 to 2014 from the link below. is there any updated document about number of tourist arrivals (domestic and foreign)as of 2014. Please click HERE for the 2014 Tourist Arrivals with comparison to 2015. Please note that this data is from a different source with the previous listings. I cannot access the link to the updated Tourist Arrivals. Can you link it once more? Thank you very much. We have replaced the file and tested. The file should work now. You might also need to refresh the page from the website, not from the cache. To do this, if the document still fails to load, press CTRL F5. You might also want to right-click on the link and save the document directly to your computer without opening the document through the browser. Do you have an updated data on the tourist arrivals? This is the data as of the moment, no disaggregation. I am a geography teacher from Germany and I am preparing a lesson about tourism in Bohol. I wonder if there is any statistic data about tourist arrivals before 2004 (just to compare the data with model from R.W. Butler about the development of tourism in a region). Do you think that you could help me out with any data(or links)? We have updated the table on the page. Check it out. Would you have an updated data for 2015 to date? Thanks! An email was sent by the in-charge of the data regarding your request. In case that didn’t wen’t through, be informed that the webpage is also updated. We hope this helped. Thank you. Hi I am Grace Evangelista, I would like to ask if you have information regarding Panglao, Bohol’s tourist arrival for 2015 and for the first half of 2016? Thanks! Hi Grace, we’re sorry but we don’t have disaggregated data to show specifically only for Panglao. The person in-charge however, is working on partial data on Tourist Arrivals for the first half of 2016. We’ll update the page when data is available. Hi, do you have a breakdown of tourist arrivals per month? Thanks! Hi MFV, thank you for your interest to Bohol’s tourism industry. We’re sorry but we are only getting yearly and at most quarterly data from the Bohol Tourism Office. Perhaps you might want communicate with the Bohol Tourism Office for such breakdown. Hi, Good Day! do you have an updated data on Visitor Count? (2015/2016) Thanks! Hi Nicole, we only post what we can get from the Bohol Tourism Office, which also get their data from the Department of Tourism. As of the moment, we haven’t got any update yet. You may also try to inquire from the Bohol Tourism Office or from the Department of Tourism if they have such updated data already. Hi Blake, we don’t have such data but you might want to inquire from the Bohol Tourism Office or from the Department of Tourism. Good afternoon! I would like to know how the tourist arrivals in bohol being computed? Are there any methods or techniques being used? Immediately above is the email address of Ms. Gina Peluchi Kapirig who is a Division Head of the BTO and concurrently special assistant to the BTO Head. Immediately above is the email address of Ms. Josephine Cabarrus who is the Head of the BTO. mandates. Thank you very much. I am currently doing a research in Bohol especially anything that is connected to the new airport in Panglao as we are planning on investing there. For now, do you have an updated stats for last year (2017)? And if you have any document about the plans, business developments and such in line with the opening of the new airport would be much appreciated. No available data yet for 2017. Try the Department of Tourism where we get our data. I’m planning to start new business in Bohol. Could you please give a date in 2016 and if you have a newest data? Good day! Do you have an updated data for the year 2015 and 2016? Thank you. We’ve updated the tables. Thank you for the comment. Hi! 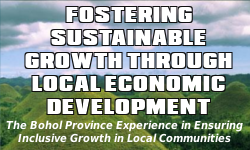 Would you happen to have information on the tourism capacity (number of hotel rooms) in the province? Good day Sir! Is there any way we can get uodates for bohol tourist arrivals and count of accomodation facilities ending June 2018? Thank you. We still don’t have the data for 2018 tourist arrivals. We only have the data once the Department of Tourism (DOT) will release it quarterly.